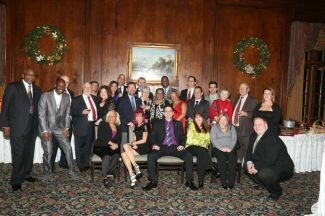 This year we celebrated our holiday party at the exclusive Glen Cove Mansion in Glen Cove, NY. Almost 40 Brothers and their significant others were in attendance. The food was amazing, the drinks were flowing, brotherhood and good- will filled the air. Everyone that attended had a blast and felt it was the perfect way to start out the holiday season. Let’s see what next year holds.